BOSTON – Over the last few weeks, the Boston Celtics have begun to prepare themselves for what they hope will be a banner-winning season. All the while, they have been drawing inspiration from another local team that is within striking distance of capturing a title of its own. 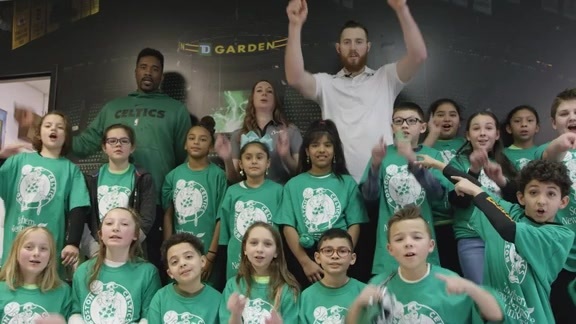 Coach Brad Stevens has been highlighting moments from the Boston Red Sox’ historic, 108-win campaign throughout Celtics training camp, with the hope of inspiriting his players before the start of the NBA season. Most recently, Stevens brought up the unselfishness of Red Sox utilityman Brock Holt. Last week, Holt became the first player in MLB history to hit for the cycle during a postseason game, doing so in Game 3 of the American League Division Series against the rival New York Yankees. Yet the next day, Holt was benched in favor of Ian Kinsler. Despite his career performance the night before, Holt was completely on board with the decision, knowing that Kinsler had a strong history against New York’s Game 4 starter, CC Sabathia. Having Holt’s type of unselfish mindset is something that Stevens hopes to see out of his own players this season, knowing that they will all have to make sacrifices in order to reach their ultimate goal. 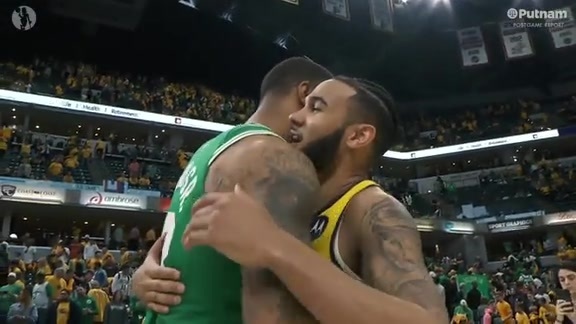 Stevens knows that many of the examples he shares with his players can go without saying, because there is such strong mutual support among the players on all of Boston’s teams. It didn’t take long at all for Stevens to become a fan of the Red Sox. He and his family were fortunate enough to move to Boston just a few months before the Sox hoisted the 2013 World Series trophy. Stevens had the opportunity to watch the Sox work in person Saturday night, as he attended Game 1 of the American League Championship Series against the Houston Astros. Although the Red Sox wound up losing 7-2, Stevens still had a blast going out to support them, just as he does with all of Boston’s teams. Whether it’s an ability to overcome adversity, or an act of unselfishness, the Red Sox are constantly showing qualities of being a championship-contending team. All the while, their acts are providing great examples for their neighbors over on Causeway Street, who are hoping to contend for a title of their own this coming NBA season.